Henry II of France was a monarch who ruled France from 1547 to 1559. Check out this biography to know about his birthday, childhood, family life, achievements and fun facts about him. 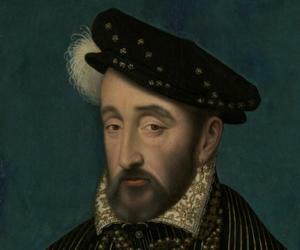 Henry II of France was a monarch who ruled France from 1547 to 1559. During his reign, he hugely suppressed the Protestant movement. He was born in the royal Chateau de Saint-Germain-en-Laye, near Paris. His father was King Francis I, who was captured a few years after his birth. Therefore, as a child, Henry and his brother had to spend over four years in captivity in Spain, as hostages for their father. 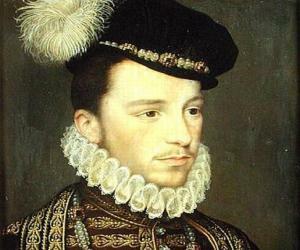 He was crowned the King of France in July 1547, succeeding his father. His reign is infamous for the wars against Austria, as well as the persecution of Protestants, mostly Calvinists, known as Huguenots. They were severely punished, with some being burnt at the stake and some having their tongues cut off for ‘uttering heresies’. The Edict of Chateaubriant, which was issued by him, laid the ground for the persecution of Protestants. He also undertook some administrative reforms such as making the different sections of the king’s council specialized. He passed away unexpectedly in 1559, after reigning for around twelve years. He was injured during a jousting tournament and died after his surgeon was unable to cure his infected wound. He was succeeded by his son Frances II. 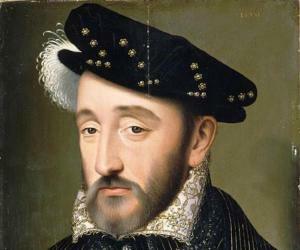 Henry was born on 31st March 1519 in the Royal Chateau de Saint-Germain-en-Laye, near Paris. He was the son of King Francis I and Claude, Duchess of Brittany. His father was captured at the Battle of Pavia by the forces of the Holy Roman Emperor Charles V and was held as a prisoner by the Roman Emperor Charles V. Henry was around six years old at that time. In order to obtain his father’s release, it was agreed that Henry and his older brother Francis would have to stay in his place. Thus, the two brothers remained captive for over four years in Spain. He was able to return home only after the conclusion of the Peace of Cambria. After the death of Henry’s elder brother Francis, the Dauphin and Duke of Brittany, in 1536, Henry became the heir apparent to the throne. King Francis I himself passed away after a few years, on Henry’s birthday, 31 March 1547. Following King Francis I’s death, Henry became the King of France. His official coronation took place on 25 July 1547 at Reims Cathedral. 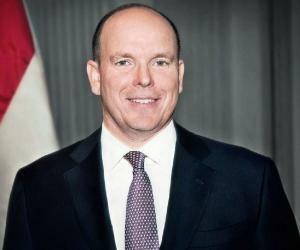 Henry continued many of his father’s policies; however, he dismissed many of his father’s ministers. As the king, Henry II brought about several administrative reforms, which included making the different sections of the king’s council specialized. The commissaries, who were sent into the provinces to exercise the king’s orders, became the forerunners of the intendants, and intermediary tribunals were established between the local justices and the high courts, which were known as parlements. Henry II felt that the rise of Protestantism was a huge threat to France. A staunch Catholic, he began the persecution of Protestants, mostly the Calvinists known as Huguenots. The Huguenots were French Protestants who had embraced the reformed tradition of Protestantism. The members of the group, especially the Protestants among the ministers, were severely punished; they were either burnt at the stake or had their tongues cut off. The Edict of Chateaubriant, issued in 1551, worsened the condition of the Huguenots. It called up on the courts to detect and punish all heretics and place severe restrictions on them. It also ordered the confiscation of one-third of their properties. Any printing, importation, or sale of any book by the Huguenots were also prohibited. Henry showed himself to be quite ambitious. After the death of Francis I, Emperor Charles V, who was dominant in Germany, Italy, and Spain decided to take over France as well. Henry made a truce with Charles in 1556. However, war resumed the next year when France made an expedition into Italy under Francois, Duke de Guise. Henry II’s declaration of war on the Holy Roman Emperor Charles V started the Eighth Italian War, also known as the Hapsburg-Valois War, which took place from 1551 to 1559. Despite his persecution of Protestants, Henry II formed an alliance with the German Protestant princes at the Treaty of Chambord in 1552. He also continued his father’s Franco-Ottoman Alliance, which allowed him to push for conquests towards the Rhine. His main goals were, however, to keep the power he had secured, as well as protect the Church at home. While he easily achieved the first goal through his suppressive methods, the second one required careful and extensive planning. The war lasted till the Treaty of Cateau-Cambrésis was signed in 1559. As part of the peace treaty, Henry’s daughter Elizabeth was married to Philip II of Spain while his sister Margaret was married to Emmanuel Philibert of Savoy. In 1533, Henry II got married to Catherine de Medici, who was a member of the ruling family of Florence. She was the daughter of Lorenzo II de' Medici and Madeleine de La Tour d'Auvergne. The couple went on to have ten children, of who a few died in their infancy or childhood. The king’s marriage with Catherine was devoid of love and he took several mistresses. He was romantically involved with an older widow named Diane de Poitiers. They had been very close since he was a child and their bond grew even deeper after his return from captivity. After the death of Pope Clement VII, the next Pope Paul III cancelled the Papal alliance with France and discontinued the dowry payment for Catherine as well. This further worsened the relationship between Henry and Catherine. Henry II of France had much passion for hunting and taking part in jousts and tournaments. On 30th June 1559, he took part in a match at the Place des Vosges at the Hotel des Tournelles, which was held to celebrate the Peace of Cateau-Cambresis as well as the marriage of his daughter. During the match, he was wounded in the eye by a fragment of the splintered lance of Gabriel Montgomery, who was the captain of the king’s Scottish guard. Though the royal surgeon Ambroise Pare tried his best, he was unable to save the king’s life and he eventually passed away due to septicemia on 10th July 1559. His body was buried in a cadaver tomb in Saint Denis Basilica. As he lay dying, Queen Catherine limited access to his bedside, and even though he repeatedly asked to see Diane de Poitiers, she was denied the permission to visit him. After his death, Diane was sent to exile. As per practice, his heart was enclosed in an urn. The Monument to the Heart of King Henry II can be found at the Louvre, which is the largest art museum in the world, in Paris, France. The original urn holding his heart was destroyed during the French Revolution and a replica was made in the 19th century. Henry II was succeeded by his sickly fifteen-year-old son Francis II. 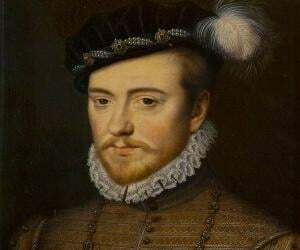 He was married to Mary, Queen of Scots, who was only sixteen at the time. 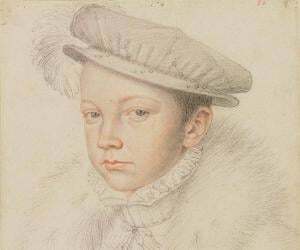 Frances II, however, passed away after just 18 months, after which he was succeeded by his ten-year-old brother Charles IX. King Henry II of France has been portrayed onscreen multiple times. 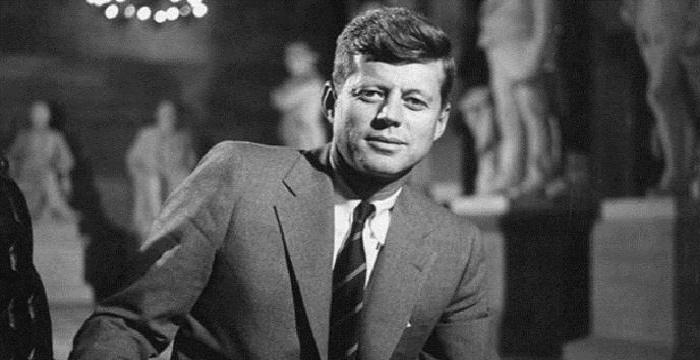 His character was seen in the 1956 film ‘Diane’. Directed by David Miller, it was about his mistress Diane de Poitiers. He was portrayed as a young prince in the 1998 romantic drama film ‘Ever After’. His character was also depicted in the TV series ‘Reign’ which aired from 2013 to 2017.